The products united under the Alveus brand are first-rate products in terms of quality, manufacture, materials and design. 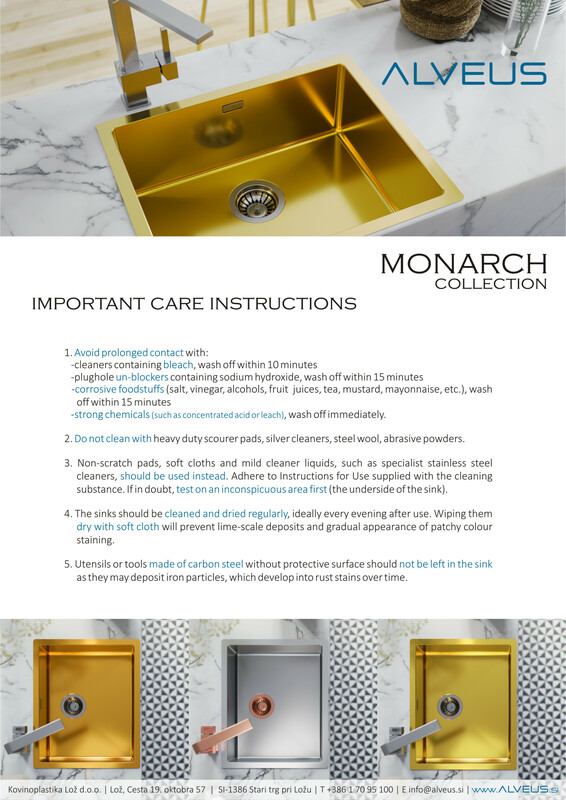 Since the sinks are made of various materials with specific characteristics, care and maintenance must be adjusted accordingly. 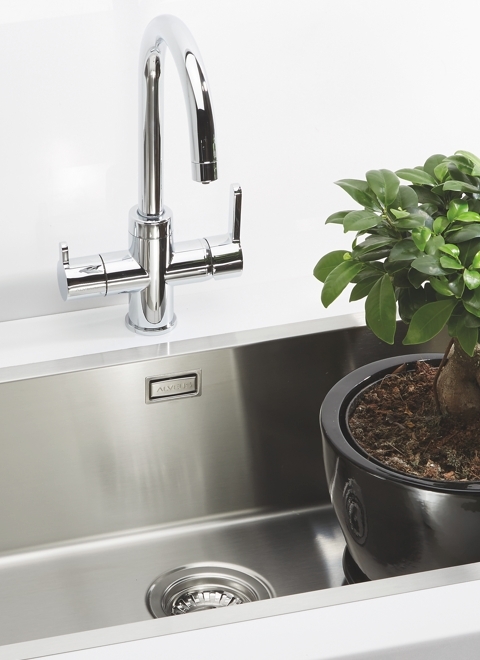 Every sink is supplied with care and maintenance instructions. 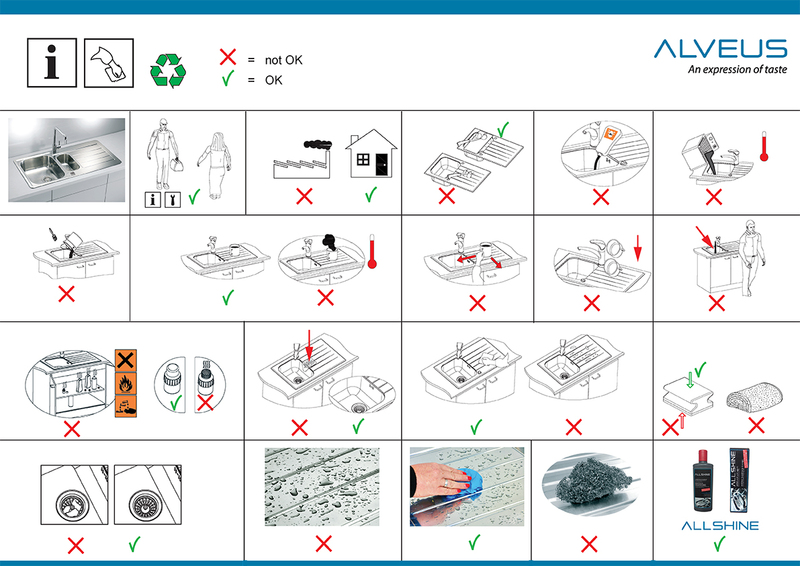 Following the recommendations stated, you will ensure a long service life to your Alveus kitchen products. Soft cloths and liquid household cleaners should be used for cleaning. We recommend Alveus cleaning and care agents. Avoid silver cleaner, steel wool pads, bleach or abrasive detergents. Do not deposit unprotected metal objects onto the stainless steel parts. Should stainless steel come into contact with strong acids or leach, flush it immediately with a large amount of water. To avoid staining, do not leave food or corrosive substances (e.g. fruit juice, kitchen salt, vinegar, mustard, mayonnaise etc.) on stainless steel surfaces for longer period of time. We recommend that stainless steel products be wiped with a dry soft cloth after use to prevent scale formation. Most stains and dirt can be removed with mild liquid nonabrasive household cleaners or ammoniac-based detergents. More difficult stains can be removed with a fine polishing agent; the remains of limestone can be removed with 9% acetic acid (vinegar). We recommend Alveus cleaning and care agents. similar) can damage the sink finish. 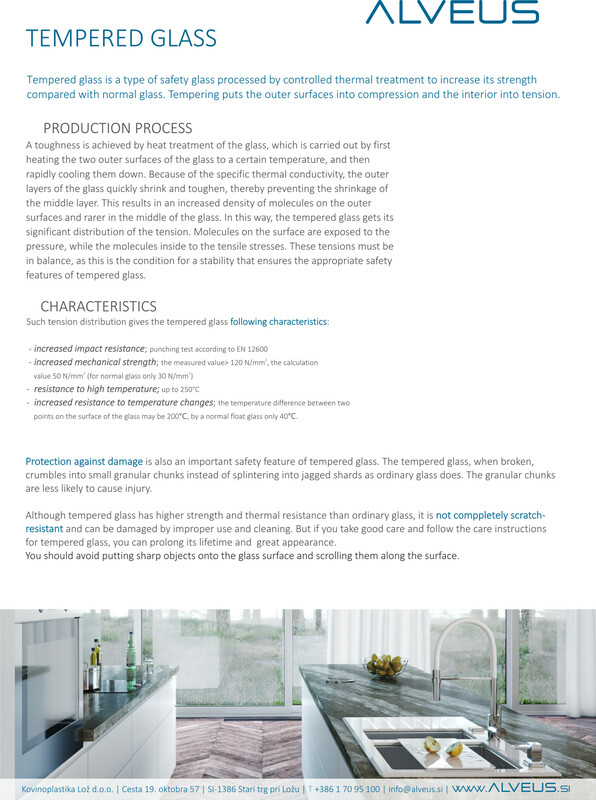 Should the contact occur, rinse quickly the surface with water. We recommend the use of appropriate chopping boards. 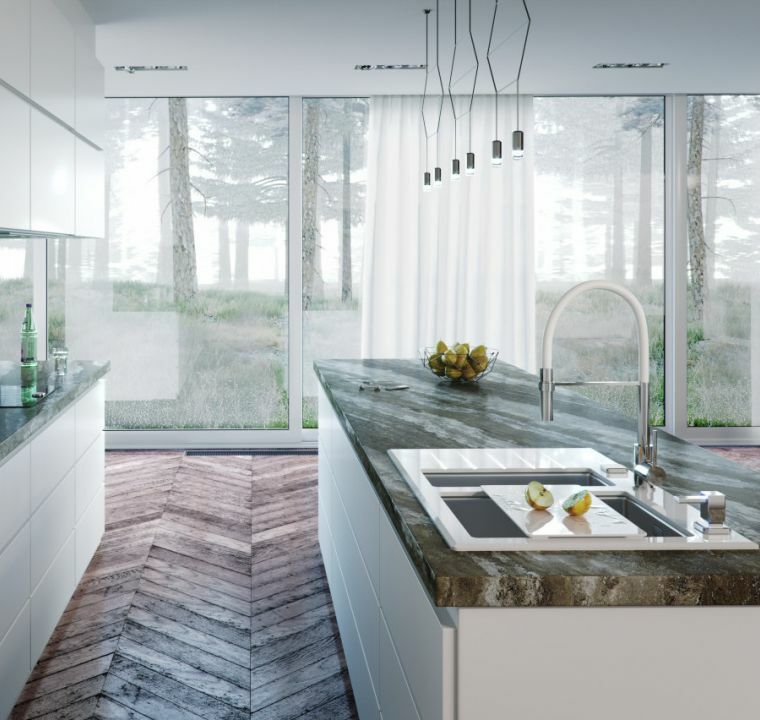 For cleaning of Alveus kitchen taps it is best to use a soft cloth, hot water and liquid detergent for kitchen sinks. Should scale build up on the tap, remove it with 9 % acetic acid. Silver cleaners, steel wool pads, bleach or abrasive detergents can damage the tap finish, so they should be avoided. Chlorine detergents (soda hypochlorite) or hydrochloric acid can have a similar effect. enable separate binning of different kinds of biological and non-biological waste. Due to various container sizes and large total capacity, they fit any home.